On May 1, 1958, President Eisenhower proclaimed the first “Law Day” in the United States to commemorate the nation’s commitment to the rule of law as espoused by our founding fathers. Every president since then has issued a similar proclamation and Congress officially established Law Day in 1961 (36 U.S.C. 113). 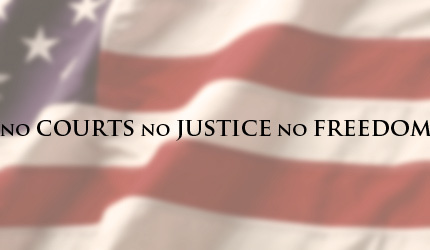 This year, the American Bar Association’s theme for Law Day 2012 is “No Courts, No Justice, No Freedom.” There are far too many who do not have meaningful access to the courts–and therefore, to justice and true freedom–because they cannot afford a high legal retainer or high, unpredictable legal fees. At the same time, there are thousands of lawyers who struggle to make ends meet while establishing or maintaining their traditional law practices. If you are one of those lawyers, take a moment to reflect on the meaning of Law Day and the 2012 theme, then resolve to help yourself while helping others by offering limited scope representation as a service. What better day to resolve to launch–or better, to launch–a limited scope practice or menu of services? Limited Scope Representation: it is not just about making more money; it is about meaningful service to those who can afford to pay something for your valuable, but limited assistance. So go ahead: launch your LSR practice. Launch it on May 1, 2012. Whether you do it for Law Day 2012 or some other reason, at least do it!